Welcome to Norris Orthodontics, bringing smiles to Vestavia Hills, Alabama. Dr. Don Norris and his team serve their patients and their community with respect and love, welcoming everyone they meet as friends and family. Through exceptional and innovative orthodontic care, they enable those they serve to enjoy the confidence of a beautiful smile. Born and raised in Vestavia Hills, Dr. Don Norris is thrilled to be practicing orthodontics in the town that he knows and loves. Master’s of Science and Advanced Education in Orthodontics also at UAB. 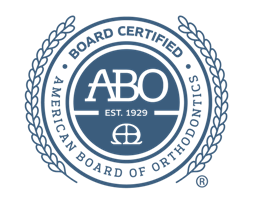 Dr. Norris is board-certified by the American Board of Orthodontics. Learn more about Board Certification here. Dr. Norris serves as adjunct faculty at University of Alabama at Birmingham instructing the orthodontic residents at the Birmingham VA Hospital. Dr. Norris loves spending time with his wife, Mindi, and their three beautiful daughters--Corinne, Kaitlin, and Marci. Dr. Norris and his team members pride themselves on providing both excellent orthodontic care and top-notch customer service to you and your family. We want to get to know you…your likes, your dislikes, your hobbies, and your accomplishments. After all, we will be spending a lot of time with you over the next few years! Every time you come to our office, you will see Dr. Norris. Although our professionally trained staff is always on hand to assist, you can rest assured that Dr. Norris is the one who will design your treatment plan and execute that custom treatment plan when he sees you every six weeks. He encourages you to contact him personally if you have any concerns, and he is willing to meet you after hours to make you or your child comfortable. Although all orthodontists are dentists, not all dentists are orthodontists. In fact, only 6 of 100 dental school graduates go on to become orthodontists. 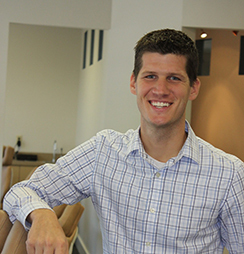 Dr. Norris attended four years of college, four years of dental school, and then a rigorous 32-month orthodontic residency program. Altogether, Dr. Norris went through nearly 11 years of formal education in order to be uniquely qualified in the diagnosis, prevention and treatment of orthodontic problems. He has dedicated his professional life to creating healthy, beautiful smiles in children, teens and adults. Our assistants are certified orthodontic assistants, which means that they not only studied dental assisting but that they also have gone to a specialty program to learn specifically about orthodontic issues. Dr. Norris and his entire team regularly attend continuing education courses in order to stay up-to-date on the latest orthodontic technology. These courses include annual association meetings, study clubs, OSHA courses, and local continuing education opportunities. Dr. Norris takes a multidisciplinary approach to orthodontics, so he meets regularly with your general dentist to ensure the best possible outcome. He also works closely with dental specialists such as oral surgeons, periodontists and endodontists, and he has been extensively trained in treating surgical cases. Orthodontic technology is constantly evolving, and Dr. Norris and his staff members use the most advanced products available when creating a customized treatment plan for you, including light nickel titanium wires, ceramic braces, Invisalign, dental lasers, and temporary anchorage devices (TADs). Serving Vestavia Hills, Hoover, Homewood, Mountain Brook, and all of Birmingham, AL—Orthodontist Don Norris offers Invisalign, Invisalign Teen, and braces for children, teens and adults. Request a complimentary orthodontic consultation today! © 2014 Norris Orthodontics. All Rights Reserved.